You may or may not know that I've spent the last 2 or 3 years studying Interior Design. I love the idea of fashioning the spaces we live in to reflect who we are and maximize functionality. It's also really important to me that we shift our consciousness to preserving and protecting our planet, which I believe starts at home! With that said, earlier this year, I had the idea to start a separate blog called SBP Home. Lately, as I plan the growth of this blog, I think it's more appropriate for me to include my interior design interests on SingleBubblePop! That brings me to today's post. This was originally meant for my SBP Home but I want to share it with you all today! Ever wonder how your favorite celebs translate their fashion sense into their homes? 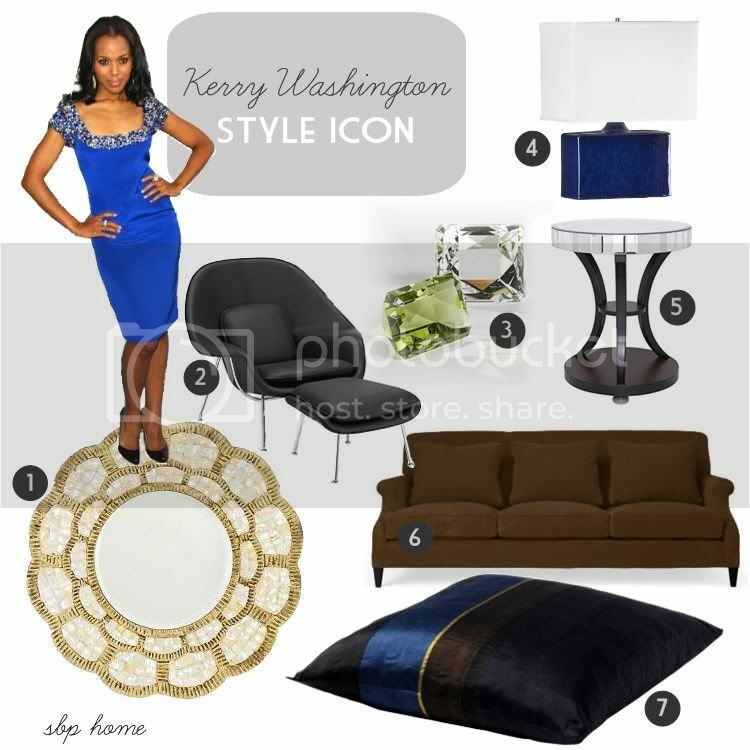 In each "Style Icon" profile, I'll create a collection of items that I think reflect their style. Kerry Washington is one of my favorite style icons because of her elegant modern style. She epitomizes old hollywood glamour in a very current way. She always pairs classic sihlouettes with a touch of sparkle and a little edge. Let me know if you like this type of content and what you'd like to see more of! I'm always open to suggestions/requests.